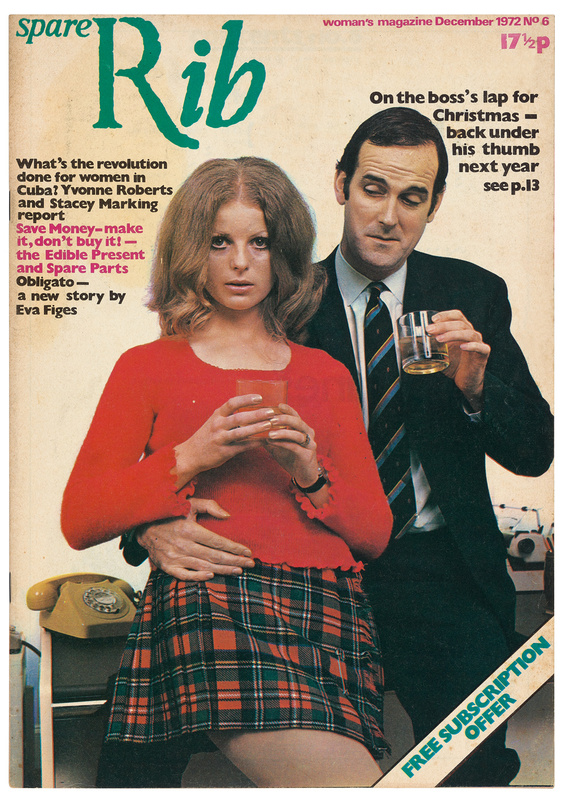 The first issue of Spare Rib was published in July 1972, launched by founding editors Marsha Rowe and Rosie Boycott, with designers Sally Doust and Kate Hepburn. Rowe and Boycott announced their goals with a manifesto that declared: ‘The concept of Women’s Liberation is widely misunderstood, feared and ridiculed. Many women remain isolated and unhappy.’ With the new magazine they pledged to reach women across ‘material, economic and class barriers’. 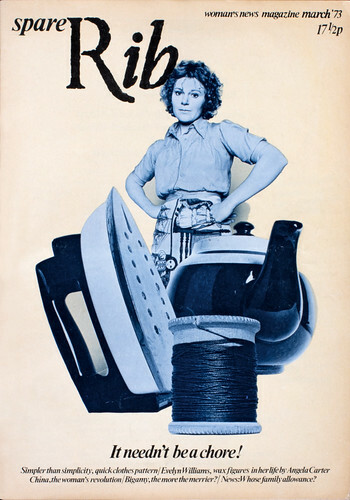 In sharp contrast to existing women’s magazines in both form and content, Spare Rib provided a new platform that addressed issues – from sexual and racial equality to household tips, child- and healthcare – within a radical, contemporary framework strung through with wit and criticism. Spare Rib no. 9, March 1973. Design and layout: Kate Hepburn, Rose Verney, Lucinda Cowell and Sally Doust. Cover photograph by Roger Perry. Top: Spare Rib no. 6, December 1972. Design: Kate Hepburn and Sally Doust. Cover photograph by Valerie Santagto. This satirical Christmas cover signals Anna Coote’s feature about ‘the female ghetto’ of secretarial work. Monty Python’s John Cleese is pictured with Marion Fudger, Spare Rib’s advertising representative.